The recently blessing and inauguration of Don Bosco-GROHE Dual Tech Academy marks the date of independence for the young people of Tondo, Manila. The event was organized jointly by the Salesians of Don Bosco and GROHE together with apprentices from other disciplines of the Don Bosco Youth Center, attended by guests from the local business and academic communities as well as the German Ambassador, Thomas Ossowski, and representatives of the German Chamber of Foreign Trade. GROHE, a water fittings manufacturer together with Don Bosco Mondo e.V. teamed up with a view in helping young people have better lives. The partnership started in 2009 that helped some 780 young people in Mumbai, India to start a new life. 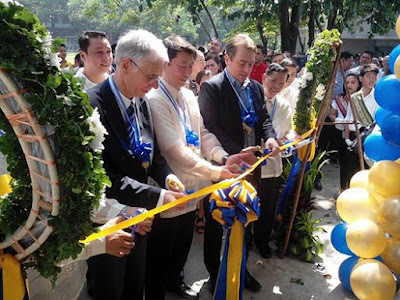 The successful GROHE Dual Tech aid project also made it to the Philippines in the area of Tondo, Manila where its new training facility was opened. Mr. Michael Mager, GROHE Management Board member opened during the inauguration, "Today is an important day for all of us." "In the six ears that have passed since we launched our partnership with Don Bosco Mondo e.V. in India, we have achieved a lot and learned a lot. Our work has borne fruit and demand for our trained and skilled plumbers is huge. 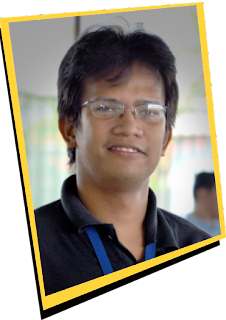 We now want to continue this strategy in the Philippines and offer apprenticeships to the young people of Manila-Tondo to give them a genuine chance to earn a living from skilled work. At the same time, our local partners will benefit from the availability of professionally trained plumbers." The project aims to enhance the professionalism of the local plumbing trade that's why GROHE Dual Tech make sure of it by providing a high-quality training programme leading up to NC II qualification. The programme not only supports the apprentices but also addresses the lack of skilled labor while at the same time helping to advance the industry. With the direct cooperation of local companies gives young people employment opportunities after their training, making their future more secure. Christian Osterhaus, Managing Director of Don Bosco Mondo says that "We are happy to offer these new training programmes in Manila-Tonda, a place that is known throughout the world for poverty and adverse living conditions. We give young people the chance to train and enhance their skills in order to compete successfully in the local labor market, to earn their living and to become active members of society." The GROHE Dual Tech programmes in the Philippines targets socially disadvantaged people aged 17 to 25 who are unable to obtain vocational training. Courses in the academy start twice a year with some 30 participants each and comprise a 12-month apprenticeship at the Training Center including a 6-week internship at a GROHE partner company. What's great with the academy is that it has a widely recognized graduation certificates that young plumbers can use when they apply for a job with any other firm after their training. GROHE Dual Tech also offers short-term training courses for assistant plumbers as well as further training courses comprising customized modules for young employees of construction and plumbing companies. GROHE Dual Tech is a develoPPP.de project. The German Federal Ministry for Economic Cooperation and Development (BMZ) fosters the involvement of the private sector at the point where business opportunities and development policy initiatives intersect. The programme is put into practice by Deutsche INvestition-und Entwicklungsgesellschaft (DEG) on behalf of the BMZ. DEG promotes business initiatives in developing and emerging countries and finances sustainable investments.